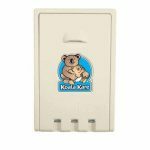 Koala surface mounted vertical baby changing station. 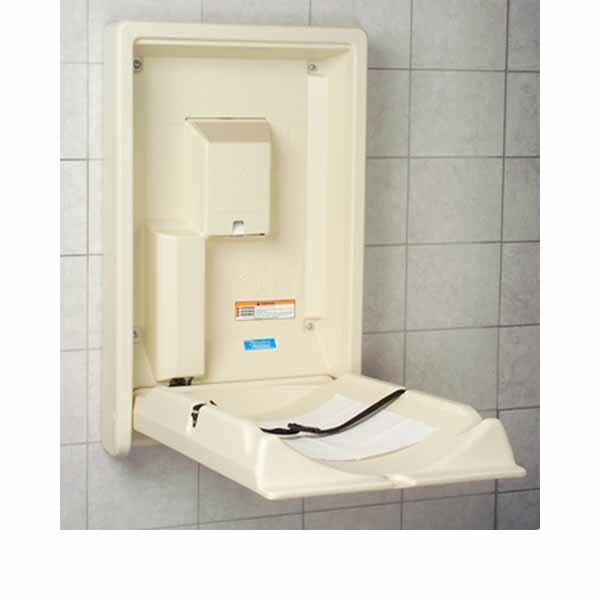 Cream-color polyethylene cabinet and bed. 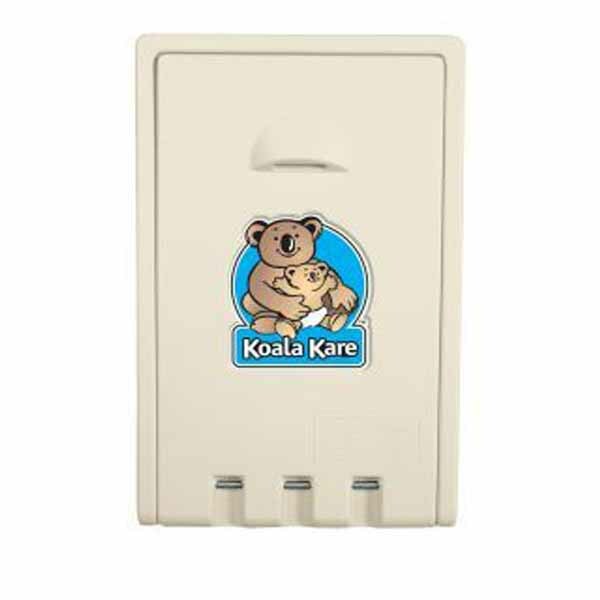 Full length steel-on-steel hinges with 11 gauge steel mounting bracket eliminating plastic wear points and providing superior child protection and durability. Gas spring mechanism ensures smooth open and close. Built-in liner cavity and two bag hooks. Includes child safety straps. Bed surface exclusively contains Microban® antimicrobial, reducing odor causing bacteria. 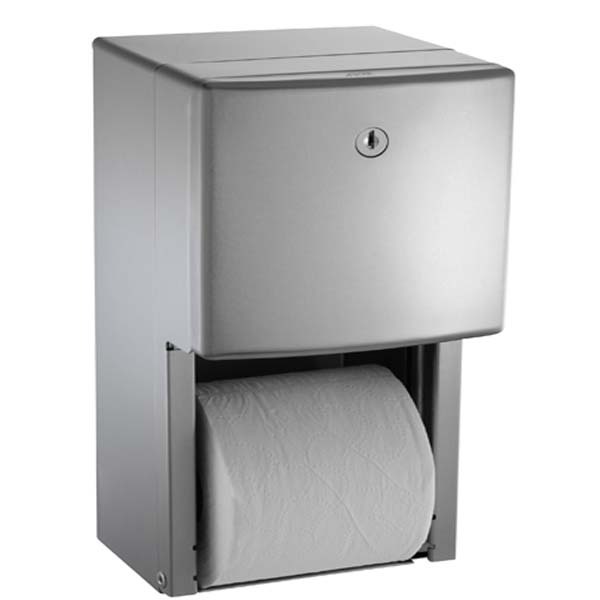 Liner dispenser holds 20 liners. Constructed with 46% recycled materials; contributes to LEED certified building requirements. 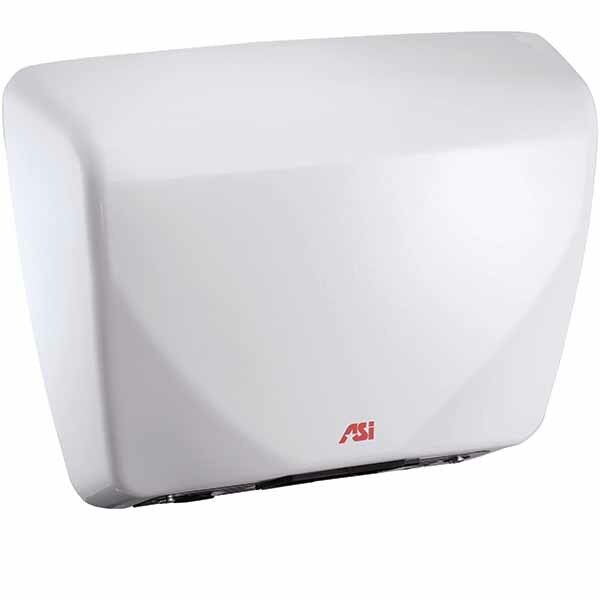 Available from Bobrick in cream-color only. The cost of shipping is included in the price. Shipped from manufacturer. Lead time for delivery ranges an average of 1-2 business days. Shipped via UPS Ground. Need your order within 2 business days? Express shipping is available. Online ordering available for US Only. International customers, please contact us for a quote.